Hi. I'm Drew. You may know me from such websites as Toothpaste For Dinner. I'm on Twitter at @drewtoothpaste and I'm also on Facebook. I have written for Vice, .net (UK), Virgin Airlines, Boing Boing, Grammarly, Something Awful, and a number of other publications, online and off. I am available for freelance work, depending on the scope of the project. Give me your email and I'll tell you about my new projects. 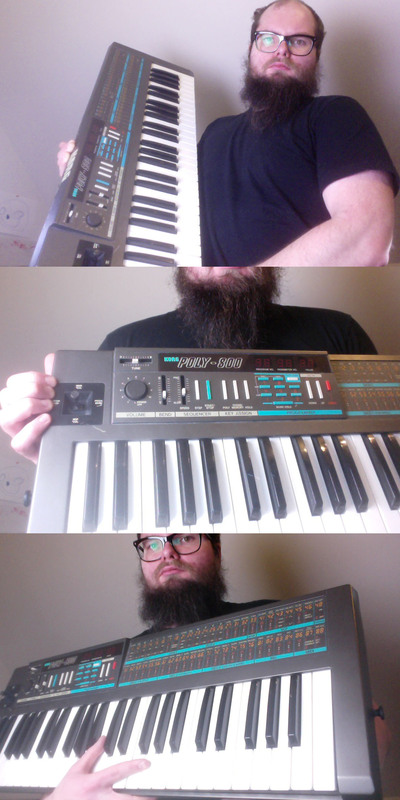 Here are three pictures of me with a small keyboard.